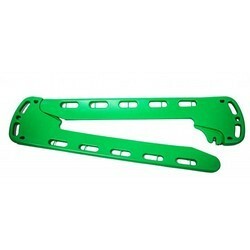 We provide our customers with a wide range of Safety Stretcher. It is made up of fiber glass reinforced plastic in the form of chapped strangled and polyester resin. It is known for its high performance and rigid construction. It is manufactured under the supervision of our expert professionals to ensure quality in the product and is tested by Govt. test house, regional testing center, Mumbai. Cross belt is introduced to provide full comfort to the injured. 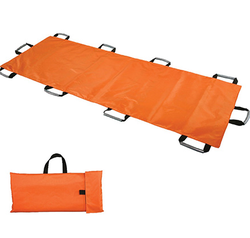 The FRP Scoop Stretcher is very useful to transport the victims/injured from accident sites to hospitals. The product is manufactured under the supervision of our experts to ensure safe transportation of the injured. The raw material is collected from the most renowned vendors of the industry so that the quality is not compromised. It is mainly used for disaster management. We are the leading manufacturers and suppliers of Foldable Stretcher, which is specially designed and made for space management in the emergency vehicle. It takes very less space and is ready to use during any emergency to transfer injured/sick safely. The quality of the product is very high and manufactured using very good quality raw material. Road Transport Organization (RTO) etc. Our team of dedicated expert professionals is engaged in manufacturing of Aluminum Collapsible Stretcher, which is of very high quality and available at reasonable rates. The product is used for human safety, rescue and safe handling of the injured or sick. This product is exclusively designed by our enterprise and is easily available to our clients. The product has applications in different fields such as industrial medical services, EMRI, construction Sites, state administration, emergency services, fire services, airports, railways, hospitals. 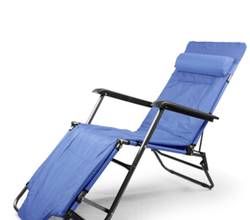 We are the leading manufacturers and suppliers of FRP Chair Stretcher. It is used to transport the patient injured/victim from accident sites to hospitals. It is used for protecting the most important part of the body the neck and spine. The Chair Stretcher helps to handle the injured / sick in lying or sitting position from height location/hills. We ensure a very high quality of the product to the clients. It is very useful for disaster management. Load capacity 200 kg, separate hand holds and restraints holds with smooth edges for easy and comfortable lifting. Being one of the leading manufacturers and suppliers of Spine Board Stretcher, we supply a very high-quality product to the customer and at reasonable rates. The product has various applications and is used to ensure safe transport and handing of injured/sick people to the hospital. The product is specifically designed for spinal cord injured and is used for disaster relief. The product has wide applications such as disaster management, accident sites, TRD vans and railway construction sites, railway hospital, airports, hotels, defense medical services, EMRI, state administration, state police Dept. Industrial medical services, stadiums, public places, major industries like cement, refineries, air force, border road, organization. 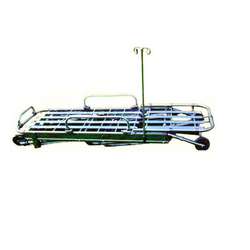 We are the leading manufacturers and suppliers of Basket Stretcher, which are used to transport injured/ sick from accident site to hospital. The product provides excellent safety to the injured/sick and is known for its high quality. The most important application of this type of stretcher is this that it provides support to the flood affected areas as it can float in the water with the help of floats attached to it. We are the leading manufacturers and suppliers of high-quality SafeGuard Rescue Chair Stretcher, which is made up of best quality raw material sourced from the most reliable vendors of the industry. The product is manufactured under the supervision of our experts and is mainly used for disaster management. The product is cost effective and is easily available for our clients. Looking for Safety Stretcher ?